I know I've neglected my blog a little in the last week, I've not meant to but there's been a big shake up in my personal life and I just haven't felt like it but I'm getting there and have some new favourites to show you as well as some FOTD posts and a couple of jewellery and outfit posts too so I'll be back into it soon. What plans do people have for the Easter weekend? I'm working every day but you know what, that makes me happy because I love my job, and in the last week the people I work with have been so amazing and supportive, and thats meant the world to me. We're a little Lush Bath family. First up I want to say sorry that I haven't blogged in a few days now, there's been some pretty major things going on in my private life that have been kind of taking over everything but its time to try and get back to normality so here I am! 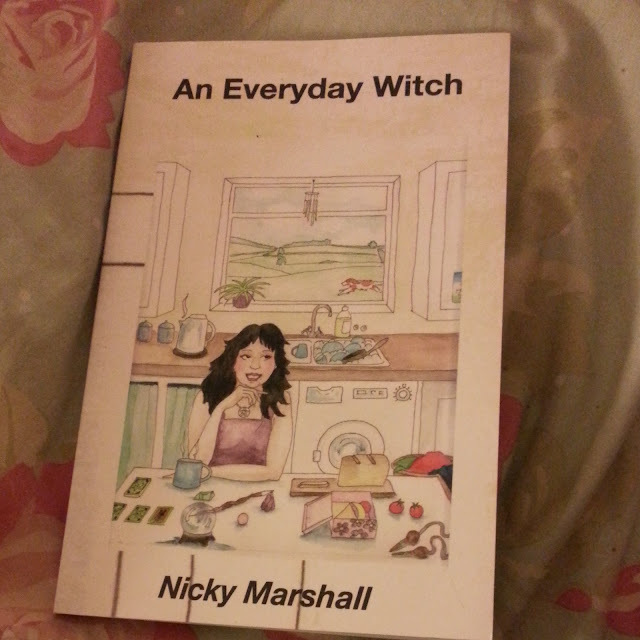 Last Thursday I was lucky enough to be invited the the book launch of An Everyday Witch(*), a fiction written by Nicky Marshall. Nicky is a holistic therapist who runs the company Holistic Insights based near Bath and Bristol. The book follows our heroine, Tabby, who at the start of the book is not in a particularly great place. She finds herself in the hands of a failed marriage, several years of illness and a lot of negative feeling. All she knows is that she needs to make a change in her life. That change comes in the form of a magical holistic journey where she discovers herself and her power to connect with the world through psychic ability. Opening herself to this whole new world does wonders and helps Tabby move forward and inspires her to love her life. As she does she begins to change her family's life for the better, step on to the dating scene and regain her true identity. Tabby is a wonderful, well rounded character and right from the beginning of the book she is very easy to relate to as the book lays out her life in a very frank manner, detailing all of the highs and the lows. During reading I found myself really feeling Tabby's pain and joy alike and because of the detailed writing style, really feeling in tune with how Tabby is relating to situations. When reading, I get very into the story and am prone to getting completely sucked in and An Everyday Witch was so exception. This was a great thing for me as all of the warmth and positive energy Tabby feels as she go through this exciting journey I felt too, and found it an incredibly lifting, inspiring book to read and found that I was left relaxed whenever I put the book down. My super thick, super long mane needs lots of attention to keep it looking shiny and feeling healthy but I'm one of those people who likes quick fixes as I don't tend to have a lot of spare time to invest in pampering and styling my hair so the Nourishing Leave-in Cream seemed the perfect option for me. I'd heard a lot of amazing things about Macadamia products, especially the deep repair masque so I was really excited to give the leave-in cream a go and I haven't been disappointed. The cream is really simple to use; all you have to do is squeeze a little bit into your hands and work it through towel dried hair and style as usual. Simples! The cream is designed to be able to use after every wash and is balanced enough to use on all hair types. The cream is thick and silky smooth to touch and glides through the hair really easily, melting in and all the lovely argan and macadamia oil in there give great shine and softness as the hair dries. I also find that I get good definition of all the different layers in my hair when using this which is rare when using texturizing products on my hair as there is just so much weight to it. Price wise, I don't think that this product is unreasonable. For a tube this size (60ml) you will pay around £5-6 and for a 300ml bottle feelunique ask £15.95 at the moment reduced from £18.95. As you need a fairly small amount of product this works out pretty reasonable, and for the effect I am more than happy to pay that. So overall, if like me, you have a lot of hair needing a lot of attention, but do not have a lot of time then I couldn't recommend this more. 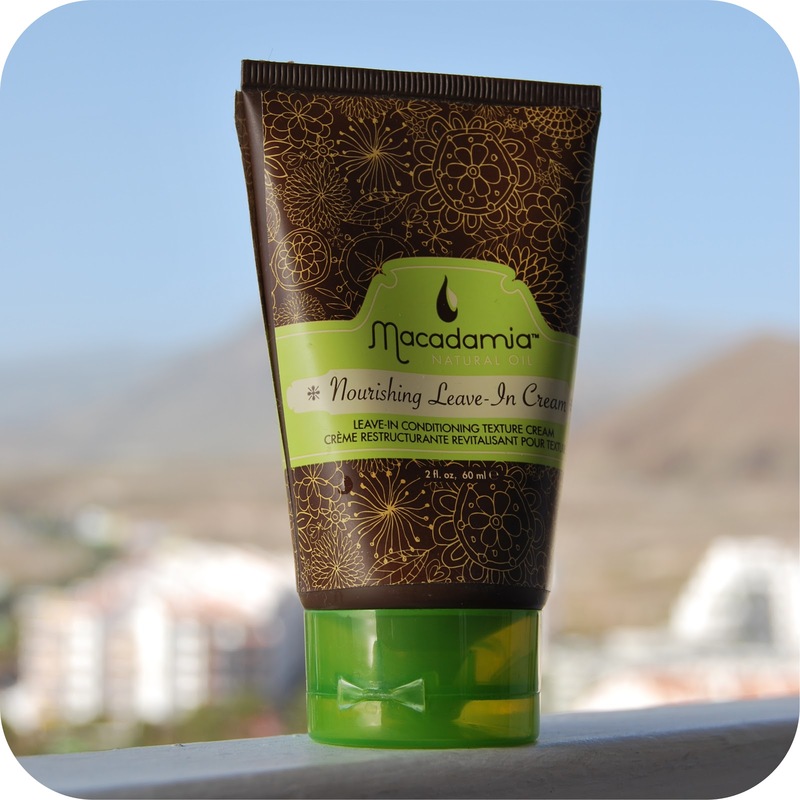 Have you tried the Macadamia Nourishing Leave-in Cream before? How about any other Macadamia products? What do you think of them? Come on Pay Day, I'm Lusting! Pay day cannot come soon enough, its been a long time that I've been low on money now due to missing pay cut off etc last month. A proper shopping trip feels like a long lost memory and the enforced spending ban is getting me down so I've been doing a spot of online window shopping for bits and bobs to treat myself to when pay day finally rolls round. 1. 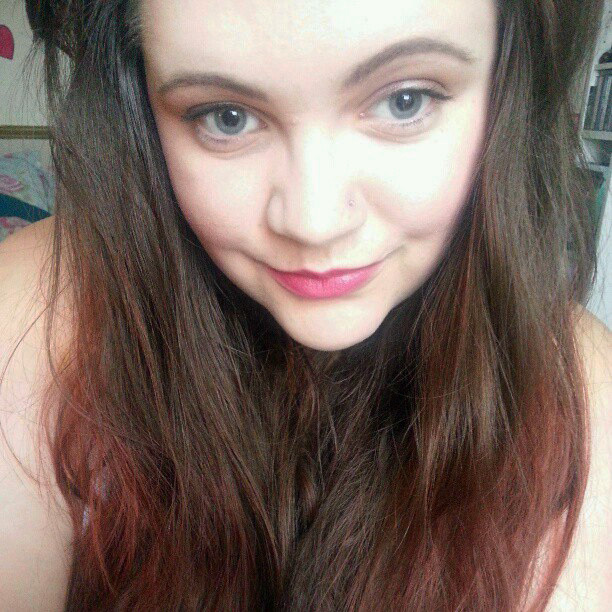 It's time to cave in and buy a tangle teezer to try and tame my mane a bit. I have so much hair and it can really hurt trying to force a brush through it so I'm hoping this one makes it a little easier after reading some amazing reviews. 2. I'm a blusher fiend and the blush up brush from the Illamasqua I'mperfection range looks amazing for contouring so it's definitely on my "must buy" list. 3. I promised myself when I was unemployed that I would buy Calvin Klein CK1 Shock with my first pay cheque and that is exactly what I'm going to do. Have you smelt it? It's amazing and I love the street edition bottle! 4. I'm really in to glitter nail varnish at the moment but we all know it's a nightmare to get off. I've heard that the Bourjois 1 Second magic remover works fairly well so I'm thinking of giving it a try. 5. Honey Trap has always been a Lush favourite of mine but since the new formula has come out making it preservative free and a whole lot creamier I just cannot get enough of it. 6. Blowfish shoes are the comfiest I've ever found. I have a pair of their boots and they get me through 8 1/2 hour shifts on my feet ache free so for spring and summer I'd like to invest in a pair or two of their pumps and think these red velvet ones are gorgeous. So thats my lust list this month. What are you looking forward to treating yourself to? Have you got any of these goodies? What do you think of them? Over in the heat and sunshine of Tenerife, my skin became more oily than I'm used to and I had a bit of trouble with a breakout on my chin. Just what you don't want when you're on holiday and there are lots of photos being taken! 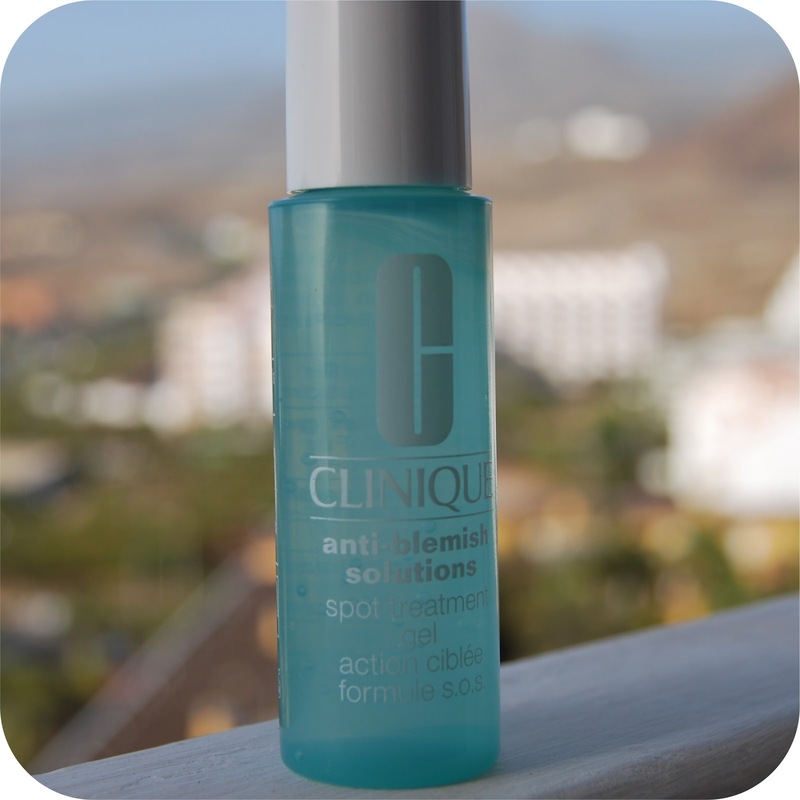 So when I found the Clinique spot treatment gel on offer in a shop over there I pounced on it, desperate to get my face back to normal. I really like Clinique products although they are on the pricier end on the scale, but they are effective and I've found them all to be lovely to use so far. The spot treatment proved no different. 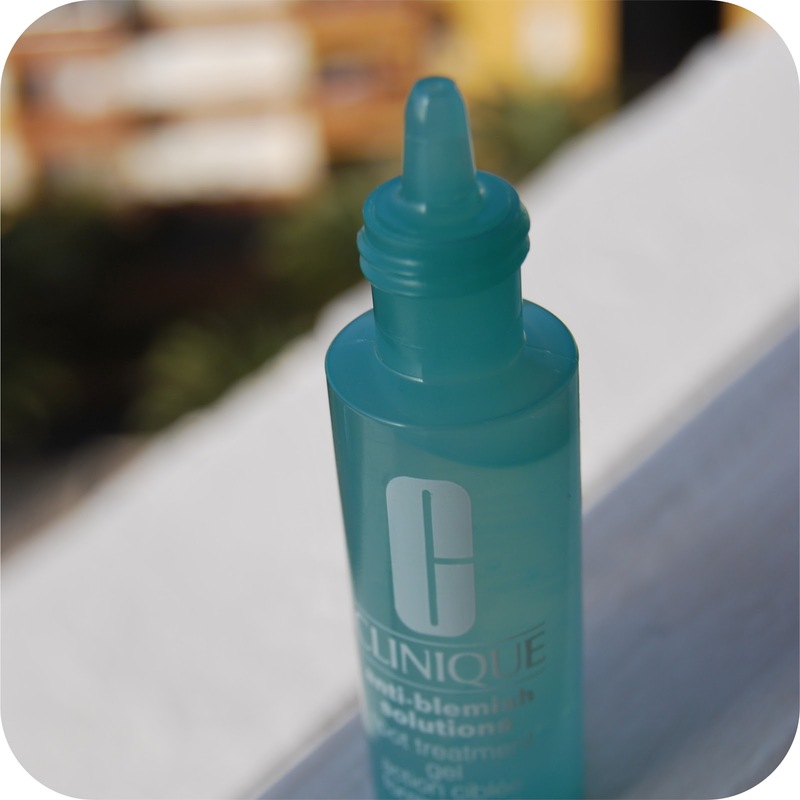 To use the treatment you squeeze the bottle very gently and apply a tiny dot straight on to the spot and then dab it in using a clean finger. When the gel dries it creates a barrier protecting the spot from any other dirt or grime getting in to the blocked pore whilst actively drying the spot and reducing the redness. You can reapply as often as you need to, but as it can dry the skin I wouldn't do so too often or you will over dry the area. I really found that this worked well and pretty quickly. There was a definite improvement within the day and the spots only took a couple of days to go away as apposed to a week or so like they usually would. The applicator is nice and small and allows you to get just the right amount of treatment without wasting and the bottle is a good size for popping in a handbag. My only complaint is that I like to apply a bit of the treatment before using my foundation if I can see a pesky spot lurking under the surface but it can have a tendency to react with the foundation and flake off if you don't use a foundation brush, I think this is because it sits on the skin rather than sinking in straight away like a cream does but with a light touch its ok, just an annoyance. At £13.50 for 15ml this is not by any means the cheapest product you can buy for clearing spots, and if I had been in England at the time I would never have bought it, but I'm glad I did, it feels like a little luxury that I can count on to save my skin on a bad day. Would I buy it again? Maybe, but I think I would shop around first and try something cheaper because at the end of the day, this is just a spot treatment made using very similar ingredients to most and I definitely prefer my usual Lush Grease Lightening. Just a quick filler post from me today because I'm spending time with my lovely mummy. 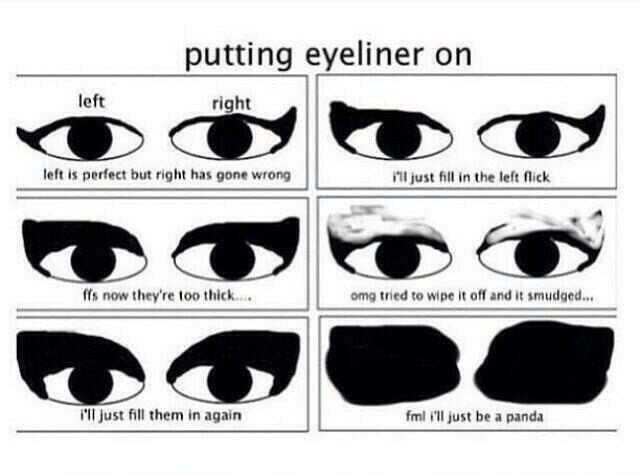 Do you guys have this problem too or is it just me and whoever drew this? Happy mothers day to all my followers who are yummy mummies, I hope you've all had a lovely day. Its been a while since I've posted a Nail of the Day post hasn't it. Oops! 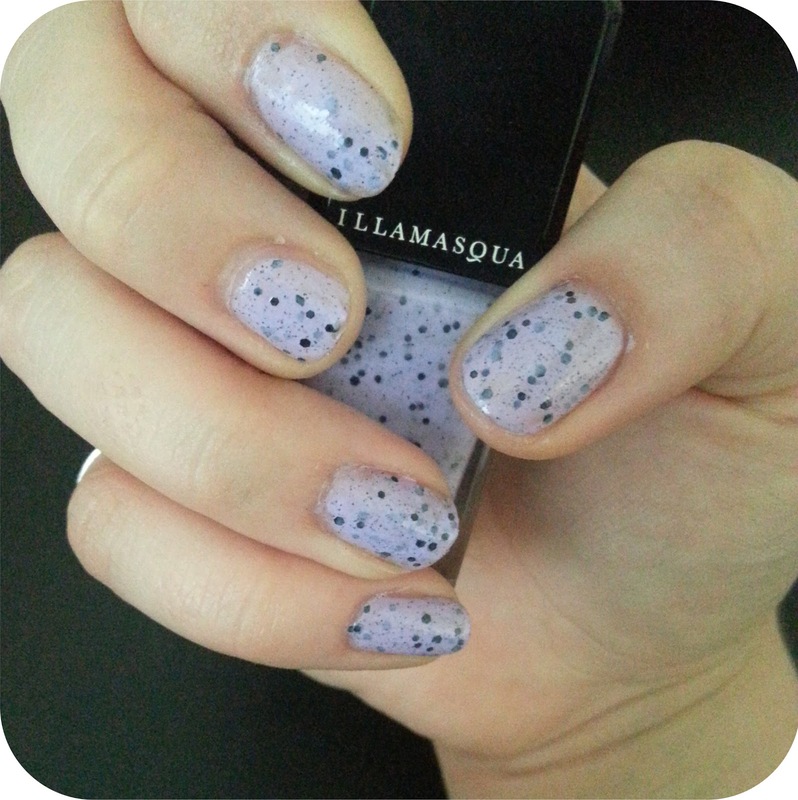 I've been through a patch of not really painting them much, but I was lured back into the nail varnish world recently by the I'mperfection range from Illamasqua and caved in and bought the pretty purple shade, Speckle. Isn't this such a pretty nail varnish? I love the speckled effect that you get from the combination of both large and tiny specks of black matte glitter. This range of polishes was inspired by the gorgeous natural imperfections found on bird eggs. The varnish itself gives good coverage and takes just two coats to gain full opacity and get a nice deep speckled look, it also sits very flat on the nail considering the glitter content and feels fairly smooth to touch. I do recommend a top coat though so that any little bits that do stick up aren't a problem. I painted my nails with this a couple of days before a shift at Lush and found that for day to day wear it wore very well, but as soon as I was working and had my hands in and out of water all day, it did begin to chip pretty badly, even with the topcoat so if you have a job where your hands take quite a battering I'm afraid this won't be all that long lasting. What do you think of my pretty new polish? Is it something you'll be picking up? The other colours in the range are blue, pink, green and brown. I'm soo tempted to pick up blue and pink if they're still in stock when I get paid! Layla D Beauty is still a relatively unknown brand on the beauty radar but several months ago a sample pot of the Honey Moisturiser came with a beauty box and got me hooked. Now, two mini pots later, I asked Dan to buy me a full sized tub for valentines day to feed my addiction. This indulgently thick cream, is rich and a little goes a long long way. My skin has got fairly dry during the winter but is still annoyingly prone to spots so this is totally perfect for me. Honey is a great humectant product which locks in moisture and comforts the skin, but as well as this, it is also an antiseptic making it a great product to use on spot prone skin as it helps to fight any nasty spot causing bacteria. 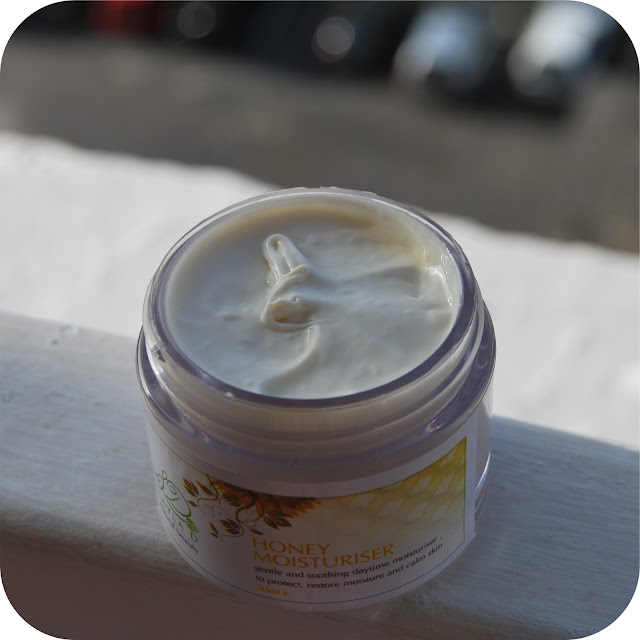 I've been using the honey moisturiser for around 2-3 months now and have seen a big improvement in my skin. I haven't been getting nasty dry patches around my nose or hair line any more and only get the odd blemish that is a lot smaller and less red and icky than when they used to pop up all the time. Possibly the biggest draw to this product for me, other than finding the scent of honey one of the most comforting in the world, is the ingredients list. Just look at all of those natural butters and oils! 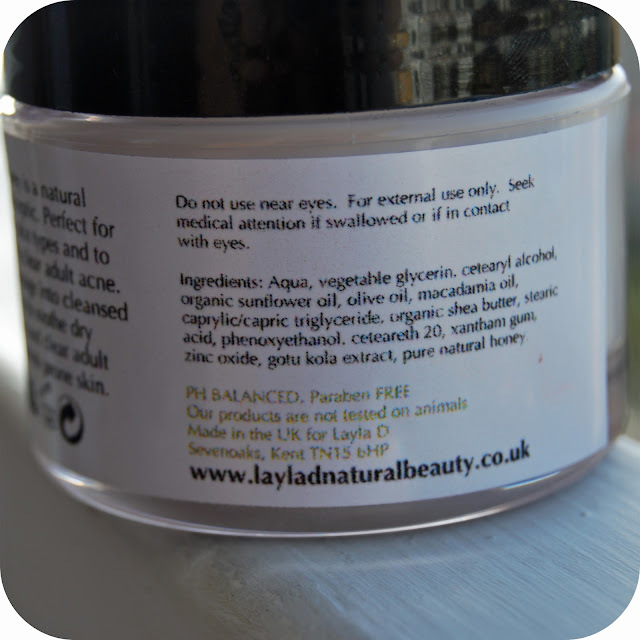 All Layla D products are totally vegetarian, and other than the honey range, they are all vegan friendly. I have totally fallen in love with this moisturiser and will definitely be wanting to try other products from Layla D after feeling the effects of this gorgeous cream, possibly a cleanser or toner will be next on the shopping list :) Definitely a product I would recommend. Have you tried any products from Layla D? What do you think of the sound of this lovely honey moisturiser? Makeup Mugshot- Spring is Springing! Look how light it was at 7.30 this morning! Spring must be here! What do you think of todays look?...minus the eyebags that is. I'm loving the fresh, dewy look at the moment, it really is getting me excited for spring and summer to come. Are you getting that spring feeling?